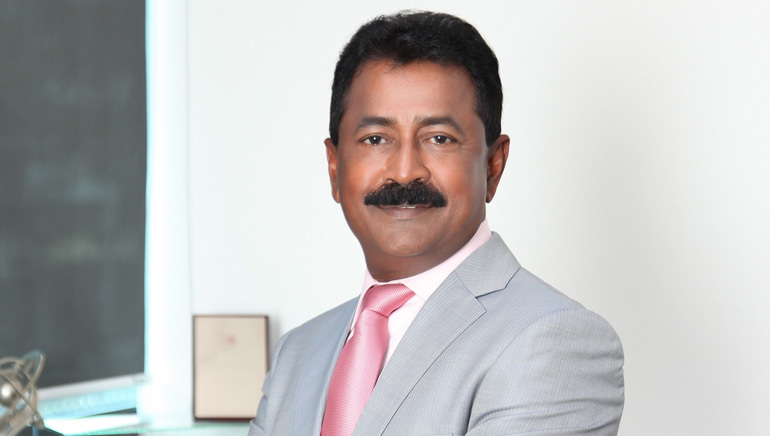 Fighting all odds and never letting the adversities diminish his unmatched optimism, the strong-willed Chairman and CEO of GATES PCM Construction Ltd., Dato Sri Krishna, not only established himself as a successful entrepreneur but also transformed himself into an inspirational icon in Singapore. Every true leader has a story. A story that encapsulates the struggle and obstacles the person went through to emerge as the frontrunner in the world. A living legend of Singapore, Dato Sri Krishna too left a trail of such struggles behind him and worked hard to achieve his goals. One who knows the significance of the title that his name contains can certainly understand the eminence his personality holds in the country. “Dato Sri” is an honorary title endowed by the rulers of the States in Malaysia to recognize and celebrate those that have contributed greatly to the country or the State in their area of expertise and specialization. It was in the year 2015 that Dato Sri Krishna was conferred with this prestigious honor for his exceptional entrepreneurial journey and the tremendous contribution his work has made for the society. Presently, his professional prowess not only keeps his company on the top but also encourages others to breathe lives into their dreams through hard work and sheer determination. A gem of a person, Dato Sri Krishna’s present affluence is the consequence of his meticulous efforts. For a person who grew up in a family that struggled hard to make ends meet, it was more than a dream to establish his own enterprise having international presence as well. However, Dato Sri Krishna is one of those leaders who had this never-ending desire to be his own boss. He wanted to overcome his financial instabilities and lead a better life. His ambitious spirit was fueled by his white heat of desire and unbreakable confidence that he was made for something big. Being faithful to his goals and walking resolutely towards them, Dato Sri Krishna established his first company Denwick Piling and Civil Engineering in 1983. This initial step was criticized by many but that never broke his trust in his abilities. After attaining huge success in this field, Dato Sri Krishna stepped into the railway industry in 2000 and founded GATES PCM Construction Ltd. He focused on growing his business with a single strategy – building relationships that last longer instilling a trust in each and every person connected to the organization. Over the years, his establishment has emerged as the pacesetter in the industry, and he has listed his name among the major tycoons of the business world. Apart from holding an unwavering faith in his own self, Dato Sri Krishna is a generous and kind-hearted person too. Well-known for his solicitous disposition and affectionately known as Mr. Krishna among his employees, he maintains a strong bond with his workforce. According to him, human resource management is one of the crucial aspects of a prosperous organization and that is why he focuses on establishing a family culture within GATES PCM through the active engagement of staff at events and outreach programmes. He also concentrates on grooming current employees into leaders and allowing them to rise through the ranks. A perfect guiding light, Dato Sri Krishna’s dedication, generosity, and strong optimism helped him set on an outstanding voyage of exceptional achievements. Announced the Overall Winner of the Entrepreneur of the Year Award in 2015, Dato Sri Krishna with unmatched skills and remarkable accomplishments continues to be a motivating source for the new-generation entrepreneurs of the country.